Business Intelligence (BI) is a class of software that finds and organizes business data. BI is a decision management tool that pulls data from many sources, analyzes it, and presents it in meaningful form. BI tools are often referred to as a decision support system. Razorleaf has helped hundreds of clients integrate BI systems with PLM, providing significant improvements in analytical support for business performance monitoring, sales planning, benchmarking, and various predictive tasks. As businesses digitize all their data, it is too easy for valuable information to be scattered across separate systems, in various locations, by various departments or business units. Many companies have an alphabet soup of information systems scattered throughout the organization: ERP, MRP, SFA, CRM, SCM, PDM, PLM. Most were deployed as tactical solutions for specific purposes by separate decision makers. Much important data is also held in hundreds or thousands of separate spreadsheets. The result is the gathering of valuable information, but held as disconnected islands of data. BI software is designed to connect this data for use throughout the enterprise. BI tools and product lifecycle management (PLM) software are designed for two separate functions, but clearly there is a need for the data in a PLM system to be available to BI tools. More importantly for product development, the data from BI can be of strategic advantage. Designers, managers, and executives at many large manufacturers are already using BI and analytics to work with historical, current, and predictive views of company data. Now these same services are becoming available for the wider manufacturing/PLM community. 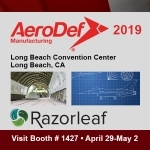 Razorleaf works closely with both PLM vendors and the leading BI vendors to help its clients choose, implement, and deploy business intelligence as part of the product development process. One of the most important benefits of connecting PLM with a corporate BI system is the ability to study corporate data to identify strategic trends. When decisions can be made based on complete, timely, and accurate data, the result is better decisions made sooner. Establish key performance and operational benchmarks for on-going management and decision support. Razorleaf often uses Clover and Jitterbit, two software products designed to connect separate software and databases. Clover uses industry standard methods and tools to create direct database connections and direct pairings. Micro-servers deliver critical data in real times to all authorized users. These micro-servers can be deployed to function in a 1:1 or 1:x protocol as needed. Jitterbit is designed for a wide variety of integration services. 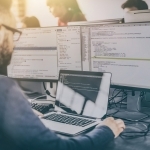 It takes a graphical approach to connection design, and is known for great flexibility in finding ways to connect disparate data systems. Razorleaf has used both Clover and Jitterbit as part of its BI/PLM integration service for years. Products connected on the PLM side include Autodesk Fusion Lifecycle (formerly PLM 360), Aras Innovator, and various Dassault Systemes data products. On the BI side, Razorleaf has worked with Oracle E-Business Suite, Salesforce, IBM Cognos, SQL Server, and more.